Actor Milo Ventimiglia of 'This Is Us' poses for a portrait in the NBCUniversal Press Tour portrait studio at The Langham Huntington, Pasadena on January 18, 2017 in Pasadena, California. It’s not every day that one of the stars from a favorite TV show crashes your viewing party. But for Fred, that’s exactly what happened when the cast of “This Is Us” stopped by his home after noticing what was playing on his television screen. 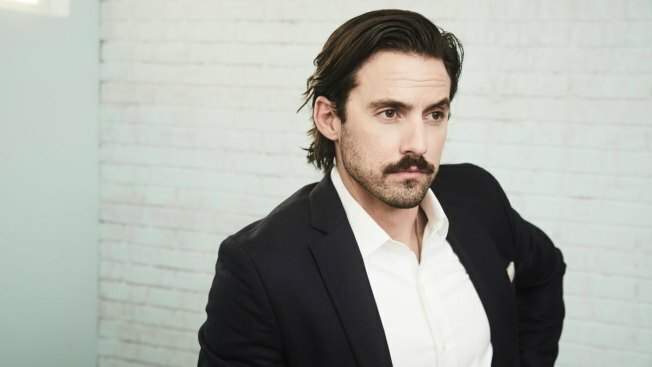 In a video on Twitter, “This Is Us” actor Milo Ventimiglia told viewers that he was shooting for the NBC dramedy when he saw someone watching a familiar episode next door. He and some of his co-stars decided to surprise the homeowner, Fred, with an impromptu visit. "When your [sic] filming #ThisIsUs & the neighbors are watching...#ThisIsUs while you're filming #ThisIsUs!! !,” tweeted Ventimiglia. After Ventimiglia knocked on the door, Fred stayed relatively cool, saying, “Yes, I’m watching you guys.” He asked for a photo, and cast members posed for a selfie. @charlizar@MiloVentimiglia@nbc@lleonlesley@californancy I would've been a crying mess. I'm never going to not be watching #ThisIsUs in hopes that @MiloVentimiglia randomly pops by my apartment to say hi. Along with the video, Ventimiglia used his social media message to remind fans that “TONIGHT we’re back! !” “This Is Us” returns to NBC Tuesday evening, after a week off-air.